This section lists and consolidates different factions and information about Arnis Martial Arts as well as explain the different weapons-based and empty hands techniques that are the signature of this formidable self-defence system. It also puts Filipino Martial Arts into its historical context, covering both traditional and modern styles of stick fighting while emphasizing their strengths and weaknesses. Expand your Filipino martial arts knowledge and become a complete martial artist. Filipino Kali, Eskrima, and Arnis make up the same form of combat art, each art being a descriptive term originating from various parts of the Philippine islands. Slight differences exist depending on the field the techniques were developed. During the ancient times, the Philippines was invaded by foreigners, and the native people were constantly threatened by the outsiders. From that time until the 2nd World War, Eskrima’s development was intense throughout the nation. Thus, Eskrima is a multitude of practices developed and enhanced for self-defense, utilizing stick and bladed combat techniques. During WWII, when the Japanese attacked the islands, the Japanese soldiers were surprised by the Filipino soldier’s ability to fight and defend themselves through martial arts. Master Eskrimadors are training and teaching the ancient art for several other reasons today. In the past, these fighting methods were made and enhanced for self-preservation. The Grandmasters today teach the methods using the natural elements. Water is incorporated in training, representing resistance and preparation. In stick fighting, huge trees are utilized as practice targets since they provide a solid target to the practitioners. During ancient times, people, especially the men, trained hard in rice fields packed with mud. These types of training and methods have been preserved in practice today because of the efficiency they provided in ancient times. Sticks are utilized in Kali training, but the blades are the weapon of choice in a real fight. 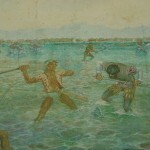 Eskrima, as well as other forms of the techniques, were developed since the Filipinos recognized their necessity for protection against enemies such as the Spanish conquistadors. The term “Eskrima” is in fact derived from the Spanish word “fencing,” describing the actual use of blades in combat. 10 Things You Don’t Know About Filipino Martial Arts shares unique information about Eskrima that only a few people know. During those times, the Filipinos utilized the only resources accessible to them. The remarkable stick fighting art was born and has developed to be rather an active self-defence form. Poles and sticks that resemble javelins were incorporated in the training that took place in water. The effects of these methods have become perfected over the many years as manifested by the performance of present champions of Filipino stick fighting. The vital feature of Kali combat is the relationship between body and mind. The link between body and mind can be seen in the earliest sparring rituals. The practitioners before literally needed to act like they were dancing to deceive the Spaniards into believing they had left their combat skills. Arnis Master Shares Kali Combat Secrets in Rare Interview! Learn Superior Kali Combat Skills: power strikes, optimum defence, dynamic footwork, etc… from an Arnis Master. Watch the Interview Now! The methods were prohibited by the Spaniards while the Philippines were under them. Sparring in these rituals provides a huge awareness of the closeness of body and mind this art has to be. Simplicity is a significant feature of these combat techniques since when the methods were being established and developed in ancient times, resources were insufficient and time was lacking for learning self-defence. In some cases, many individuals were trained with simple and basic methods. Moves such as the “Baliog Pomali” show how a tiny person can bring down a rival without utilizing any weapon. Hand-to-hand combat was widespread, so maximizing it was vital to effective defence and survival. Persons engrossed in learning these techniques must remember that while the skills may appear simple and basic, they do have decisive and complex moves that would take several years to master entirely. Using weapons boosts efficiency while augmenting the required skills for FMA. Blade combat can be expressive and deliver a quick death to a brutal opponent. The individual demonstrating these techniques can be deadly, precise and quick with a tiny knife. This is accurate even when confronted with bigger opponents carrying larger blades. 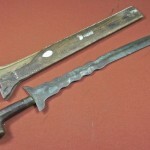 During the ancient times, blades differ in size, which allowed room for enhancing more powerful sword fighting methods. “Sayoc Kali” is one of the most respected and advanced blade systems in the martial arts world. Numerous subforms are present in this martial art form. Fighting with both bare hands and weapons is a complex part of competitions today. Before, the exchange between a weapon and bare hands could take down an enemy. Being a blade expert, bare hands or stick was essential for beating tough opponents. The chances are higher for an individual who knows the methods of dropping a blade and utilizing hand-to-hand combat and delivering a quick takedown to an adversary. Tribal fighting rituals concentrated greatly on every aspect of combat and did so in a manner that was exquisitely choreographed. 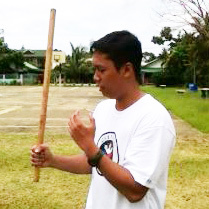 Doce Pares and Balintawak are popular variants of Eskrima. Numerous systems exist besides these two and have turned out to be diverse through the decades. The common thread running through these systems is the application of blades and sticks while also displaying open hand techniques. While a few systems concentrate more on sticks and blades, there are a few that focus more on hand-to-hand fighting. Remember these fighting methods were made for self-preservation and self-defence – hence the need for methods involving weapons and the techniques that concentrate only on open hand combat. 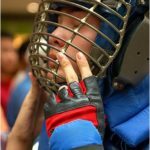 A section of the post Why Learn Arnis and Filipino Martial Arts shares practical and weapon-based and empty-hand techniques that will improve your reflexes and fighting ability. FMA is a good example of how a connection between body and mind can enhance the learning of such combat techniques. Mental clarity and focus let you conquer opponents fast and with no incident. Training provides you with more than just holding a stick or blade. In a few forms like Dumog and Panantukan, empty-hand skills are only learned. The comprehensive art that incorporates empty-hand combat and weapons takes several years to learn. Raw determination and self-control combine to form Eskrima champions as well as masters of the FMA. Filipino Martial Arts are as old as martial arts itself. Filipino martial arts has evolved into effective and practical martial art like no other. The FMA is not only a reflection of a nation’s fighting culture but also man’s martial spirit in the face of adversity. Starting as a form of defence for everyday survival, Filipino Martial Arts (FMA) or Filipino Stick Fighting developed into so much more throughout the centuries. It is now a popular and efficient form of martial arts. FMA training and teaching are still currently utilized in the police departments and Philippine military. Schools also incorporate this unique self-defence form in the PE (Physical Education) courses in colleges and schools. While it’s true that Filipino stick fighting was originally created as a form of combat, there is a sportive and fun side to it. The sportive side of stick fighting promotes sportsmanship and teamwork through stick fighting games. Learn what these games are made of and how you can have fun while learning the fighting art. Ready to Learn the Fundamentals of Eskrima?